Karen Anderson, President and Founder of Number Crunchers Bookkeeping is dedicated to serving clientele in the local business community. By establishing accounting best practices and procedures, Karen assists her clientele in setting, addressing and solving their financial goals and objectives so that the business owner can focus on what they do best: running their business. A resident of San Antonio, Texas for 36 years, Karen is married to her high school sweetheart, Rob, and together they have two grown children, Kyle and Marissa. Beyond her family, she is passionate about her rescue boxer, Foster. 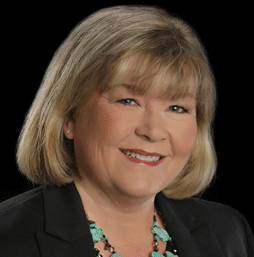 Karen has developed long-term relationships throughout the San Antonio Metropolitan area by serving the community through trade and non-profit organizations. Karen currently serves as Treasurer on the Board of Directors of the National Association of Women Business owners – San Antonio Chapter.